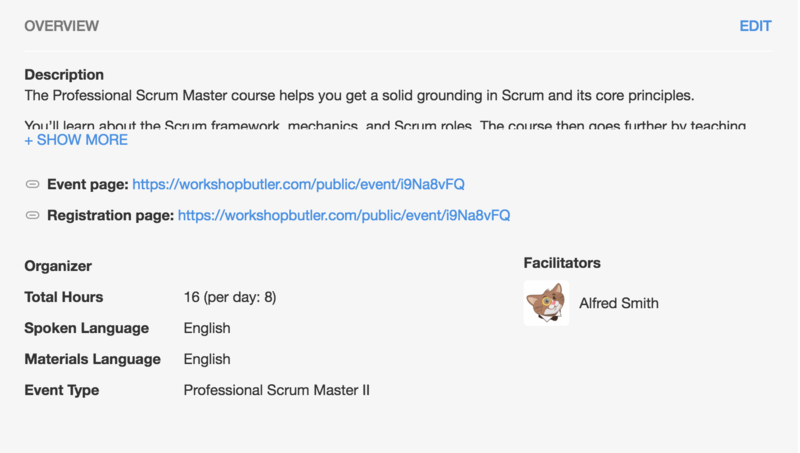 Event Dashboard shows you all information about your workshop, grouped into several tiles. The tiles help you to concentrate on what important right now and make a required action faster. Some types of tiles like Overview are always on the dashboard. 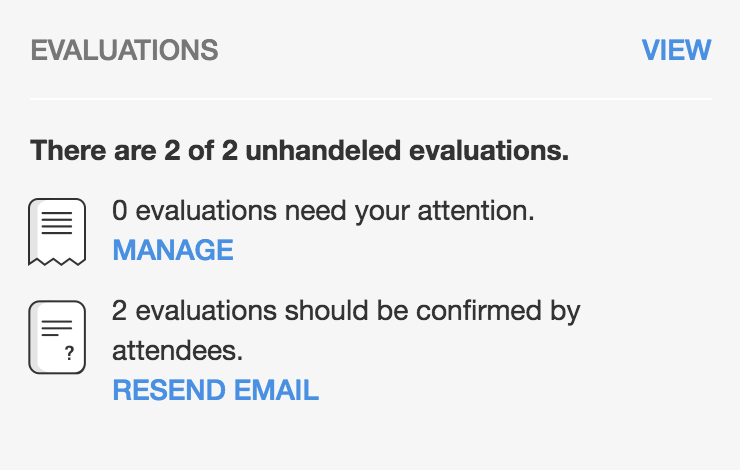 Other like Evaluations appear when the event moves to a certain state. The Overview tile contains general information about the event: a description, languages, facilitators. You will mostly use it for editing events and accessing important links. The Attendees tile shows how many attendees registered for the event, how many of them paid and participated. You can also add attendees manually by clicking the link on this tile. 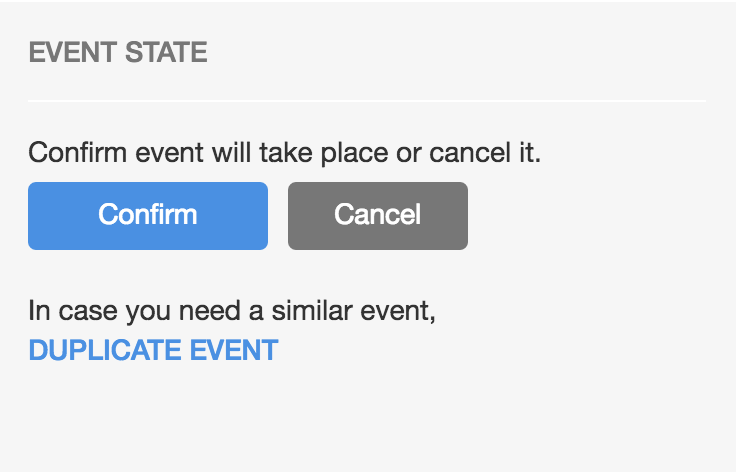 The Event State tile is a place where you can confirm or cancel the event, and make a copy if needed. 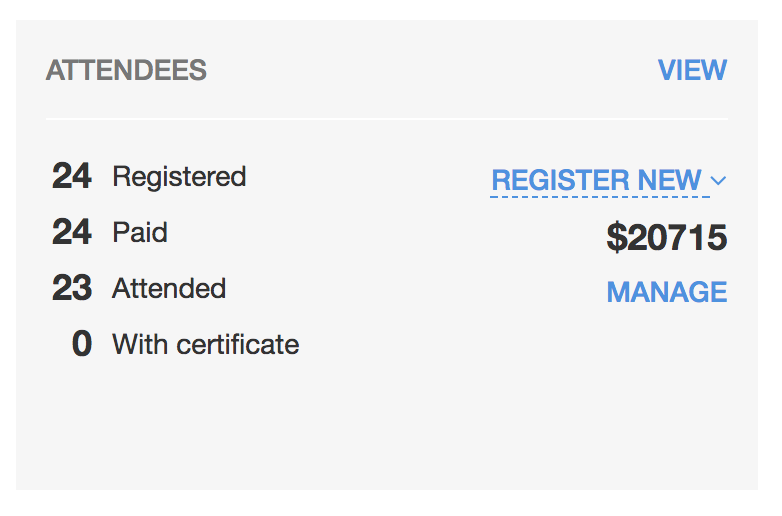 It could also contain an additional info about an invoice for the event if your knowledge brand charges event fee. The Evaluation tile gives you a quick look at how many evaluations you received and if any action is required from you.